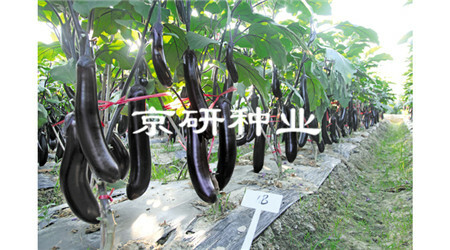 Mid-early maturing F1 , vigorous, with continuous fruit-setting ability. 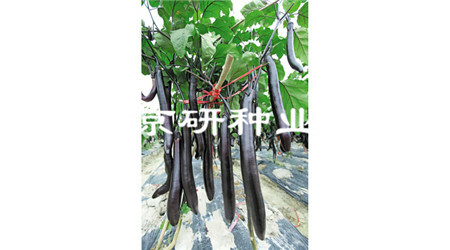 Long cylindrical fruit with 25-30cm in length and 5-6cm in diameter , suitable for early spring protected cultivation in the North. 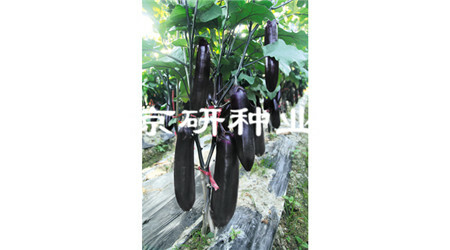 Early maturing F1 , vigorous, with excellent fruit-setting ability. 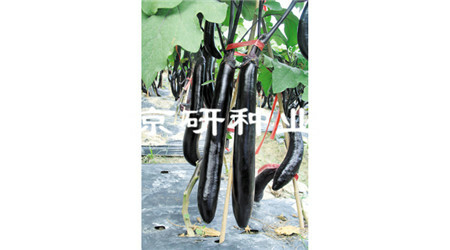 Long cylindrical fruit with 30cm in length and 5-6cm in diameter , suitable for early spring protected cultivation in the North. 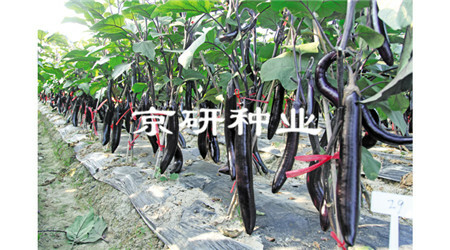 Mid-early maturing F1, vigorous, with continuous fruit-setting ability. 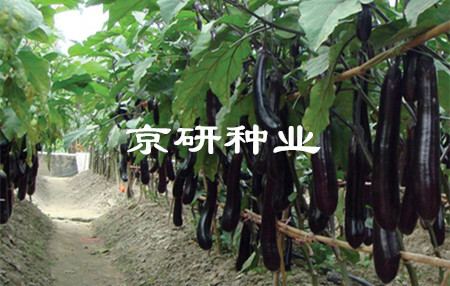 Long cylindrical fruit is 35-40cm in length and 6-7cm in diameter with green flesh , suitable for early open field cultivation in the South. 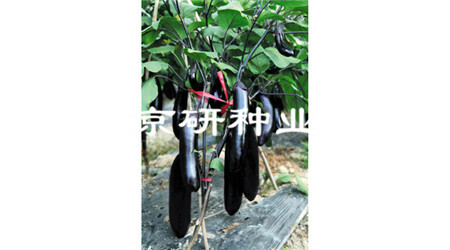 Mid-late maturing F1, vigorous, with continuous fruit-setting ability. 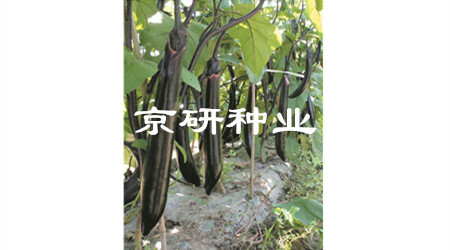 Long cylindrical fruit is 35cm in length and 5cm in diameter with with green and soft flesh, suitable for open field cultivation in the South. 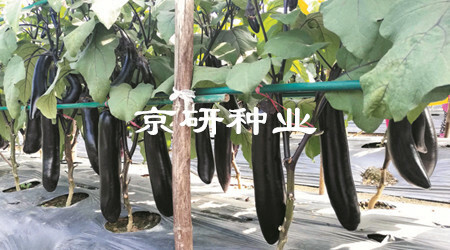 Mid-early maturity, cylindrical fruits with shiny black purple skin, 40 cm in length, 6-7 cm in diameter, excellent quality, suitable for growing in protected facilities and open field. 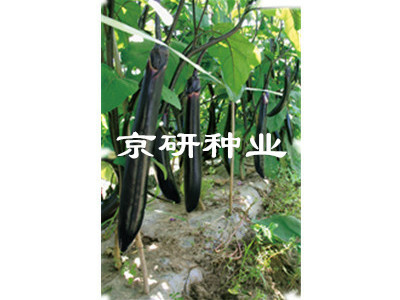 Mid-early maturing, upright with strong branches, specializes barbecued variety, long cylindrical fruit with 25-30cm in length and 6cm in diameter, with shiny black color, suitable for open field cultivation in the South. 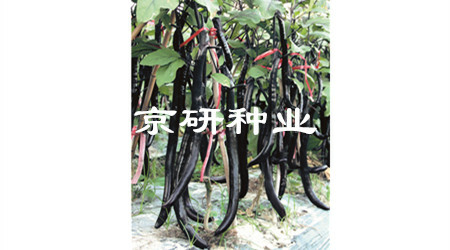 Mid-early maturing, straight, shiny black, long cylindrical fruit with 30-35cm in length and 6cm in diameter, suitable for open field cultivation. Mid-early maturing F1, vigorous, with excellent fruit-setting ability. 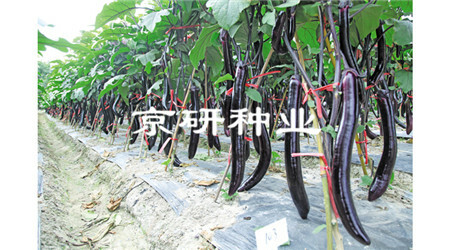 Long fruit is 40cm in length and 3cm in diameter with shiny black purple skin, suitable for early open field cultivation in the South.